Mumbai: One of the most popular mythological characters of Hanuman has been a favourite with the filmmakers of Bollywood, especially in the animated format. The most notable aspect about the film is that Salman Khan has lent his voice to Hanuman in the film. While the film primarily traces the adventures of the young Hanuman, Salman’s voice has been used for the grown-up Hanuman. In the trailer of the film, we see Salman mouthing lines like ‘Ek baar jo maine commitment kardi…’ and ‘hataa sawan ki gatha, what about my katha’. 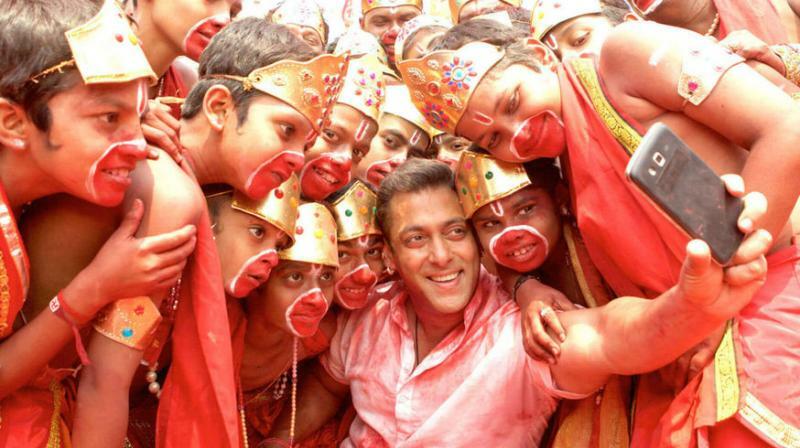 Salman’s character in ‘Bajrangi Bhaijaan’ was a staunch devotee of Hanuman and the song ‘Selfie Le Le Re’ featured chants for the god and Salman bonding with people dressed like Hanuman. The superstar has carried forward his association with the character by lending his voice to this character. The voices of the other characters in the film are given by Javed Akhtar, Raveena Tandon, Vinay Pathak, Makrand Deshpande, Saurabh Shukla, Chunky Pandey, Kunal Khemu among others.